Raise your hand if you're like me and you are not really much of a makeup toucher-upper throughout the day. Let me see 'em so I know I'm not alone! I love doing my makeup in the morning, but I just don't care enough to touch it up throughout the day. Once my lip color wears off, I'm fully down with wearing lip balm from my desk the rest of the day. I think that's one of the reasons why I enjoy long-wear lip products. My only issue with them? They are so uncomfortable. Well, the game has changed, my friends. 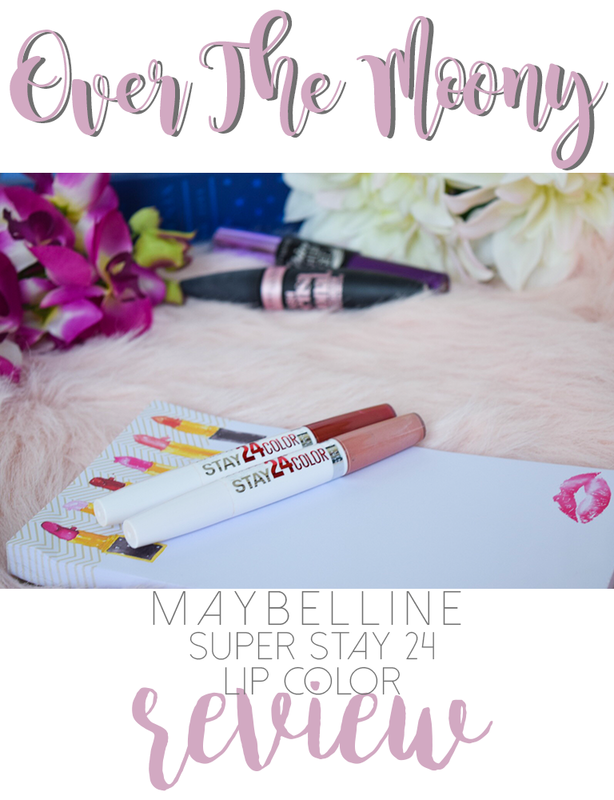 Enter the Maybelline Super Stay 24 Lip Color*! These are so comfortable. Honestly, probably the most comfortable lip color product that I own. I've tried similar products, where you put on the lip color and then put on a balm on top throughout the day, but this one feels different. I always felt like those other ones were super drying. I was always very aware that I had a lip product on my lips. These guys? Nope, you barely even notice that you have anything on! It's just like if you were wearing a balm all on its own. Admittedly, once you first put the color on it is sticky. The first time I wore it I wasn't sure I would be down with this at all. But once it dries down and you put the balm on it's a totally different feel. The two shades that I tried are Constant Toast and Keep Up The Flame. Constant Toast, for me, was a my lips but better-type shade. It just seemed to even out my lip color and looked very natural. Keep Up The Flame is a really pretty red that I love for fall. Both colors wore pretty well on me. I'm one of those people who drinks most everything through a straw, including coffee, and I didn't notice any wear after my first cup in the morning. I am also a snacker, and I didn't notice any wear after my morning snack. Honestly, I don't think I really noticed much wear until around 2:00-3:00. Obviously, for me, the red was much easier to keep track of since it was such a stark difference to my natural lip color. When it did start to wear, it just started to wear on the very inside of my lips. It held up pretty well until I got home from work, which is really all I can ask! The color has a very matte finish when it dries down and the balm acts to perk it up and give it some shine. This is something that you are meant to apply throughout the day. I'm sure since I kept on top of this, this is why my lips felt so comfortable throughout the day. I also just liked how it looked with the shine. Also, on a total side note, I don't know how beauty bloggers take such beautiful swatch pictures. I'm so self-conscious of how my hands look in all these pictures! They're really quite tiny in real life, I swear! Also, I can't really speak to the 24 Hour claim as I'm not going to wear anything for 24 hours unless I absolutely have to (looking at you, L'Oreal Consumer Panel). I absolutely hate going to bed with makeup on so that aspect of the product doesn't hold much sway for me. Overall, I really like these! I think this is a great option for people like me who don't want to have to do anything to my makeup after I leave for work or whatever else I'm doing throughout the day. I also think it's great for people who don't like wearing bold lip colors because of the maintenance. These will last for a while before looking like they need some help, which is a definite plus in my book! Have you tried any of these products? Let me know what you think in the comments below! 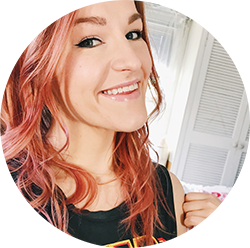 *These products are complimentary of Influenster. All opinions are my own.